Would it come as a surprise to you if I said we’re all salespeople? It’s true. What I hear from so many of you is that when it comes to sales you are a reluctant entrepreneur. Sales feels “icky”. I hear this one a lot. You feel pushy or uncomfortable when talk turns to money. You don’t want to force anyone into a decision. You secretly think your rates are too high. I’m going to be honest with you. This is one of those things that gets better only with practice. But the good news is, you don’t have to be on the phone with a prospective client to get that practice time in. Instead, use the technique self-help gurus have been advocating for years: Look in the mirror and talk to yourself. Practice saying your rates out loud. Practice your segue from discovery to sales pitch. The more you do it, the more natural it will sound, and the less uncomfortable you will feel when on a real call. That’s exactly how you should think about selling your programs. You’re not trying to get your prospective client to spend money. Instead, you’re offering a solution to her problems. You’re genuinely helping her to overcome some obstacle in her life or business. Want to learn more about sales techniques? Check out Results Based Selling for help with how to have a sales conversation and improve your closing rate. Great post, Michele! 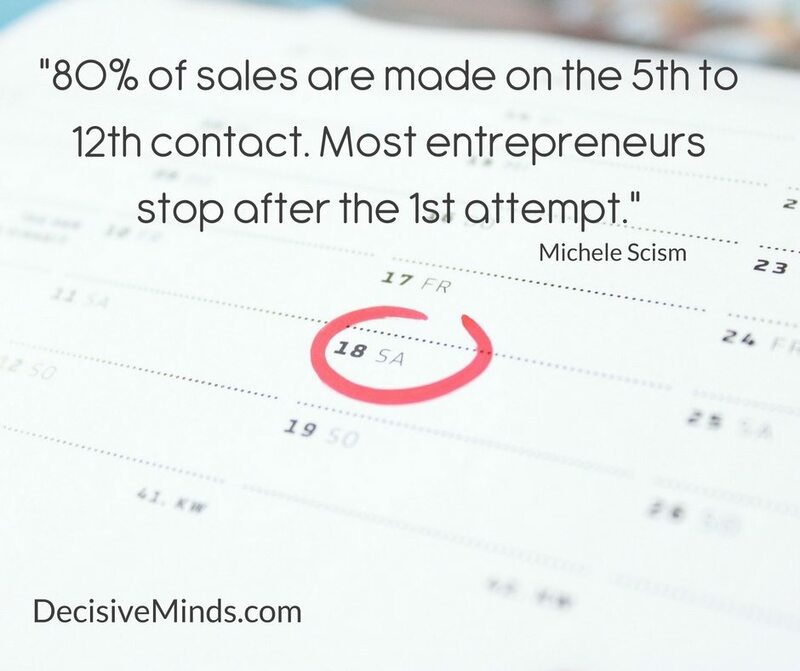 You hit on the right points to shift the entrepreneur from reluctance to confidence with selling. You’re truly preaching to the choir! ?